Although Kingswear Historians have only been in existence for about eight years, we have produced a number of booklets describing our local history. 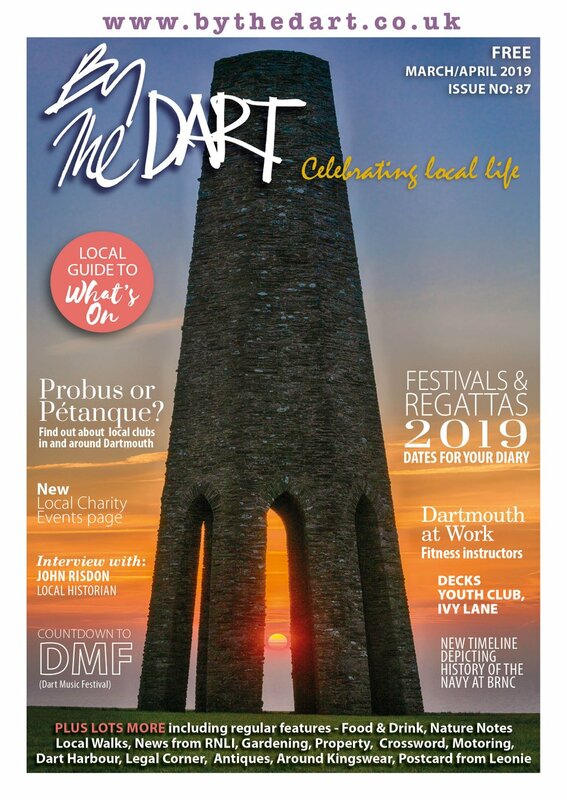 These include ‘The Dart Estuary Lights’, ‘Marks and Lighthouses’, ‘A Short history of Local Golf and the Kingswear and Dartmouth Golf Club’, ‘Kingston Farm and its Cottages’, ‘Kingswear and Neighbourhood’ and ‘Shipwrecks and Disasters on the River Dart’. They are all still in print and available. At a Committee meeting about three and a half years ago, the discussion revolved around possible further publications. It was noted that a record of Kingswear during WW2 would be an opportunity not to be missed. The then new boy on the Committee suddenly found his hand in the air volunteering to tackle the project! After this prolonged period of time my task seems to be complete. How was I going to gather the necessary information and compile it into a readable format? My first task was to talk to the locals. So many of them have such interesting and vivid memories of 70 years ago, and were also anxious that I should not forget to contact so-and-so who used to live up the road and was, perhaps, also in the WI, ARP or at school at the time. Out came the old photo albums, newspaper cuttings and any number of relevant documents. My camera worked overtime copying these treasures, while I was offered endless cups of tea. These interviews produced an enormous range of emotions as well. The boyish excitement of another air raid, peeping out of the window to watch the attacking aircraft whilst the adults were yelling to take cover, to the other extreme of distress recounting a story. One man of 80+ was reduced to tears recalling a particular event. I suggested he might feel more comfortable if we moved on. ‘No, no’ he said. He must tell me as he wanted to get it off his chest after all these years; he had never told anyone before. A sense of relief came over him after the tale was told. Talking to the locals about these years was a humbling experience and a great privilege. The next phase of my research was reading through the various archives the Kingswear Historians have amassed. The WI were extremely busy during the war raising extraordinary amounts of money, caring for the evacuee children, organising parties and fun events and always producing wonderful teas! Their records are beautifully hand written and very legible. The ARP logbooks describe the exercises held to prepare for an attack, inventories of kit supplied to douse fires, gas masks and ladders, as well as recording the episodes of real menace. They also had a fascinating map on the wall of their office in the Village Hall. A copy is found at the back of my book. The Parish Council supervised the roads and street lighting (well there was very little really), the cemetery and litter collection. ‘Salvage’, as recycling was then called, seemed to produce as much discussion as it does now! Then they had the challenges of traffic congestion around Fore Street and The Square to consider. After all there were 29 cars registered in Kingswear in 1939! Their well preserved Minute Books provide a fascinating insight into their many other responsibilities during the conflict. Other very important areas I needed to look into included the defences, radar site and Froward Point, the naval forces and the Free French, the ferries and railway, the school and Church, the farms in the area and rationing, as well as the children, evacuees, Land Girls and to read the Dartmouth Chronicle of the war years. So, after an introduction, ‘Kingswear at War’ starts by meeting the locals and describing the part they played in village life at the time, together with some of the events they remember as if it was yesterday. 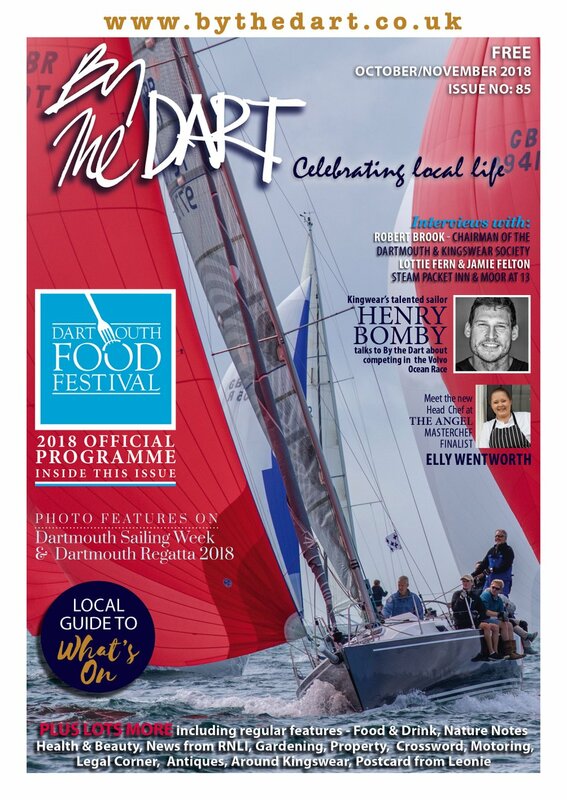 The reader is then taken on a virtual tour of Kingswear, travelling from Slappers Hill down to the ferry slipway. This trip highlights the shops and businesses that thrived in a community of about 600 people. You could buy almost anything you needed in the village at that time. There was, however, no bank, solicitor, or doctor. Dartmouth or Brixham would become an outing for these services. Just before D Day, a batch of duffel coats was sent to the laundry for washing; some of them were blood stained. These coats remained unclaimed in the laundry for several years as the ship they came from, Reg Little remembers, had been sent on other duties. In 1946 or thereabouts some of these duffel coats began to leak out into the village. They were all wool and would have been very expensive to buy. In the 1947 blizzard, some of the coats even found their way to the Teacher Training College in Salisbury where a young student, now Sheila Little, was studying. They were dyed in various colours and were greatly appreciated in that very bad winter. Indeed, they are apparently still remembered at the annual college reunions! Meanwhile the river was bristling with the latest Motor Gun boats and Motor Torpedo boats. Lieutenant Commander Arthur Harold Clayton of Kingswear was the oldest skipper of coastal forces vessels and responsible for a D boat. This was a class of motor gun boats, some of which were later fitted with torpedo tubes. This Fairmile D-class Motor Torpedo Boat displaced 90 tons, was 115ft long with a beam of 21ft but only drawing 5ft. Varying specifications would affect the overall weight which could creep up to 120 tons. ‘The Fairmile’ used by Greenway Ferries is an example of this type of vessel. They were prefabricated boats which could be finally assembled in small shipyards that were more used to building pleasure craft. They could be powered by four Packard petrol engines giving a top speed of 27 knots and a range of 2000 miles at more modest speeds. Other engines were also used in these fast coastal vessels. It was at this time that the torpedo jetty, workshops and oil tanks were built at Hoodown to help service the MGBs and MTBs. Royal Navy Officers and Seamen were usually found on the vessels of the main naval fleet but crews for these smaller boats would often be drawn from Royal Naval Volunteer Reserve personnel such as Lt. Commander Clayton. They were, not surprisingly, extremely proud to be allowed command of their own vessel. They were soon involved in some of the bravest missions imaginable. It was reported that Lt. Commander Clayton had a wind up gramophone with a large trumpet loud speaker on the deck of his D-class, and would play ‘a hunting we will go’ as they motored out of the Dart! It was also said that he would ‘clear the guns out’ as he was leaving the Dart using the Mewstone as target practice! Perhaps the rock is not quite as tall as it once was! Lt. Commander Clayton was very proud of his vessel and wanted to show it to an uncle who lived near Salcombe. The Admiral made it very clear to him that he must NOT take his vessel into Salcombe in view of the sand bar. One occasion when he was very near Salcombe he became aware of a Spitfire in distress and crashing into the sea. They made full speed to the area, and managed to rescue the pilot who was badly burned. It was clear that he needed urgent hospital treatment. Salcombe offered the only realistic hope for the wounded airman. At that time there was just enough water to get into Salcombe over the bar and alongside to offload the pilot who was safely transferred to hospital, saving his life. It was now necessary to tell the Admiral that they were in Salcombe; his response was, apparently, unrepeatable. However, the circumstances were accepted in view of the life saved. The Admiral was then told that they would be staying there until the next high tide! 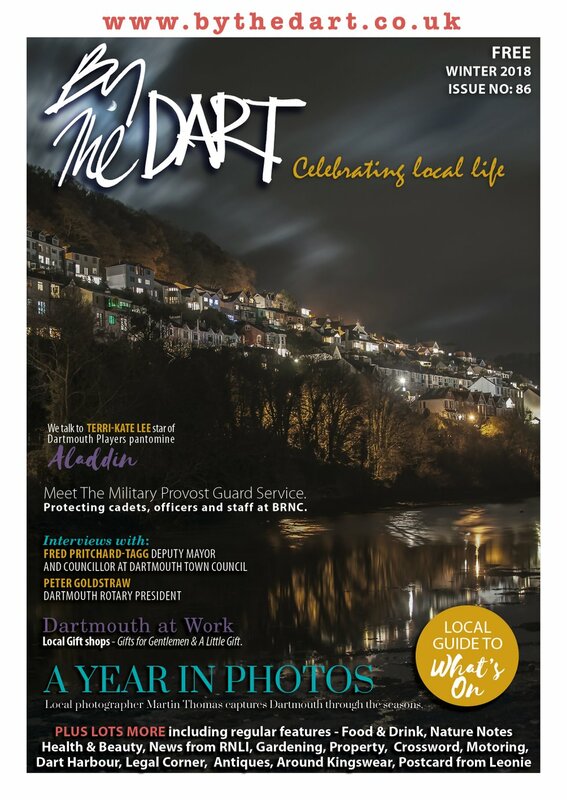 Another selection of excerpts will appear in a future edition of By the Dart.